Technology has greatly changed the way we do business, giving the opportunity for many people to realize the dream of having their own business and work from home. But working without anyone monitoring your activities and productivity is not always as simple as it sounds, and you may need to adopt some rules to keep you from procrastinating. The internet has opened the door for many types of online businesses to be created, generating new professions and ways to make money without leaving home. This reality has initiated real beneficial changes throughout society. One example was the expansion of the eLearning market, which wiped out the geographical barriers of education. New technologies have also created new needs, and young entrepreneurs have begun to have ideas and open their startups based on the digital world. 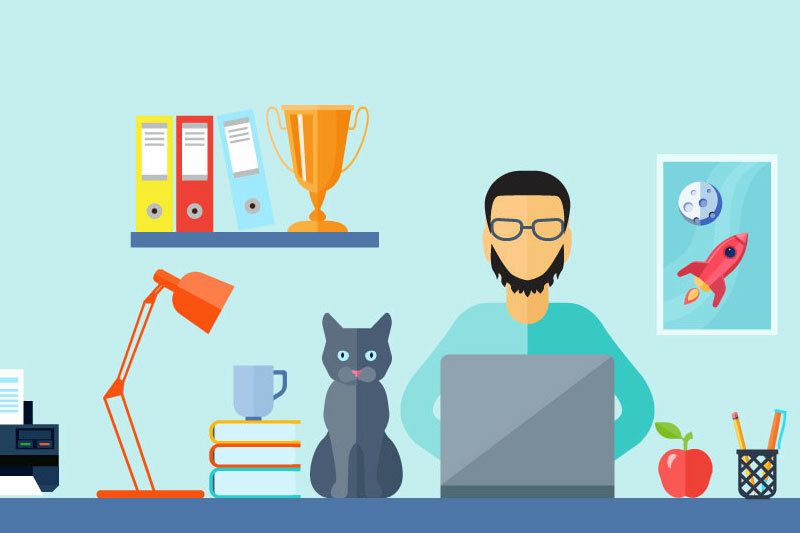 All of this contributes to the current scenario where many people have got the chance to work from home, doing what they like and spending less money and time. But turns out that focusing inside your own home is not always easy, especially if there are other people and responsibilities asking for your attention. Trying to balance these two sides of life, the professional who can not organize the time well ends up working many more hours than he used to or failing to do part of his chores. Both cases cause losses and dissatisfaction. To work from home successfully, you need to implement time management skills in your daily schedule. That way, in addition to avoiding procrastination, you end up doing more in less time. Many people think they have perfect control over their day and that it will give them time to do it all. That’s where the problem starts. It is common to associate stress and lack of time with hard work and commitment (culture that many companies try to get through). This is one of the main reasons, even if unconscious, that many people simply accept this situation, without stopping to think if they could end this exhausting routine. What happens most of the time is not overwork. The problem is the lack of organization and optimization of time. To change that and get the benefits of work from home, check out the techniques listed below. We do not want to generalize, so if you are one of the few that really is optimizing every hour of your day, there is not much that this post can do to help you. Anyway, in this section we will guide you on how to analyze your workflow to decide whether or not there is room for improvement. This step can seem boring, but it is important to be clear about how you are actually wasting your time. All you need to do is keep a notebook next to you, or a spreadsheet or even a time management app, and document what tasks you are working on and when. Do not skimp on details. For example, if you are writing blog articles from 1:00 p.m. to 3:00 p.m., and the next activity you record in your notebook is posting on social media, from 3:30 p.m. to 4:00 p.m., where that half hour between tasks go? Was it necessary to take a break to eat? Did someone catch your eye on WhatsApp? Or did you see random things on social networks? Whatever the reason you spent in that half hour, register, later on when you review your time spend, you will get a full picture of what happened. We recommend that you do this documentation for a full week. This provides enough data to identify patterns. Now is the time to see where your time is going and identify your weaknesses. Start by picking up a marker and highlighting the bits of the day you’re wasting time. Be it for 3 or 25 minutes, highlight it. These quick glances on Facebook, scrolling through Instagram, casual conversations over WhatsApp, etc., add up and are the most obvious moments of procrastination. But you’re probably wasting time in less obvious ways too, without even noticing. For example, you open the browser to do a market research, but you end up seeing gifs on Twitter or entering the site of your favorite store. Be honest with yourself. This is the time to analyze coldly how you spent your time. Every minute you should be working, but did something that did not bring benefit to your business, should be highlighted. The result may be a little more terrifying than you might think, but do not panic. We are human, and we are not prepared to sit and work for 5 hours without interruption. The key is to identify and eliminate wasted time and at the same time schedule healthy breaks. As we said before, focus on the advantages of working from home. You can take advantage of your breaks to practice a physical exercise, prepare a healthy meal or just close your eyes and give your head a break for 15 minutes. Look at everything you’ve highlighted and make a list of the things that you wasted time in the last week. Paste this list on the wall in front of you. Once you are able to recognize where you are wasting time, it is much easier to police yourself and stop when you are about to be unproductive. With that said, allow yourself short breaks every hour. The famous creative pause. For example, at each hour, set the clock to a time interval of 10 to 15 minutes to decompress. Sometimes that means going through social media, sometimes that means getting up and doing some stretching. Whatever it is, these breaks are also vital for you to be more productive when working from home. Now that you’ve started to cut distractions, let’s talk about how you can get started working more efficiently. If you’ve spent some time reading articles on productivity, you’re probably familiar with the term batch. Here’s a quick update: batch processing is the process of performing all the similar tasks at once, so you’re not constantly interrupting your workflow. Monday: Plan the theme of the next class you will be recording. Tuesday: Develop a video script. Thursday: Review and edit the material and announce the launch on your social networks and course page. Friday: Launch the new lesson online, let your audience know by email marketing and stay tuned for feedback. Of course, depending on the complexity of your course, or the task you are developing, each step may take longer, but in any case, the organization model is this, simple and effective. Organizing your time is less chaotic than trying to do a little bit of everything every day, without focusing on anything at all. There is also the added benefit of knowing that you will not have to worry about a certain task for the rest of the week. If your business is profitable, one of the first things we recommend is that you hire help to accomplish tasks that are not so good on, or are simple things that anyone can do and it is neither necessary nor smart that you miss time doing it yourself. This does not mean that you need to hire a full-time employee. In the online business world there are several ways to hire professional freelancers, who receive by the hour or job. For example, do you need help editing videos? Disclose your brand on social networks? Write posts to your Blog? Hire a self-employed professional, who, like you, has decided to work from home. Or hire the services of an advertising agency. It all depends on what you need and how much you are willing to invest. You will always be the heart and soul of your business, even if you have someone to help you for a few hours of the day. The best part of freeing up your time through hiring help is that you can use that time to do something more profitable, like creating one more online course. When working from home, you are probably working alone and there is no one to call you to a planning meeting. So why not just start the project and streamline the process, right? Bad idea. Without a planning, you are likely to leave many gaps open, flaws that you will only notice in the middle of the road and that will cost you time to fix. This is rework. It is to throw your time away and literally pay to work. The problem is that learning to plan effectively can be difficult. Since prevention is always better than medicine, we advise you to do detailed planning, even if some steps seem obvious. Decide the topic you want to address. Do market research to identify need and opportunity. Refine the topic by addressing a specific problem identified during market research. Do more focused research with your target audience and niche people to see if this is really a good idea or not. Redefine your course topic based on feedback. From there, set deadlines for achievement so you do not get lost in the workflow. Having everything step by step detailed with deadlines to follow is a great way to visualize what needs to be done during the week and know what your time limit is to complete each task. When you are building your online business and starting to work from home, it is normal to make mistakes and apply organizational techniques that do not work for you. Do not worry, in doubt, look for examples of people who have already being where you are and see what has made them successful. You may have to adapt one or two things to your work reality, but in general, no one invented the wheel, and there is one method that works for everyone. To learn how to plan and create successful online courses, read other blog posts and get some tips. Contact creators of courses you admire, from your niche or not, and try to get some tips straight from the source. And why not base the format of your course on a template that someone has already created and you like and saw it worked out? We’re not talking to you to copy the content, not at all! But in the question of how to structure your course, researching examples is always a good way to start. 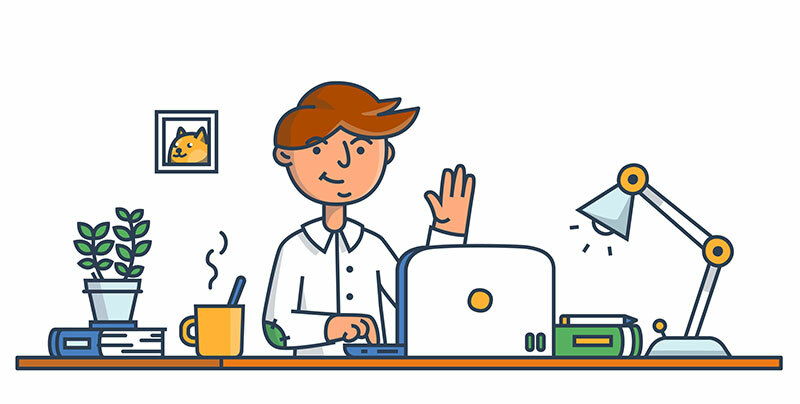 Complete eLearning platform, Coursify.me is the ideal solution for anyone who wants to create, sell and promote courses on the internet without having to invest to start their own business. Meeting businesses and professionals in more than 60 countries, the platform is a dynamic and customizable Learning Management System. We have three plans options for you to decide what best suits your needs and the good news is that the Beginner Plan is free! 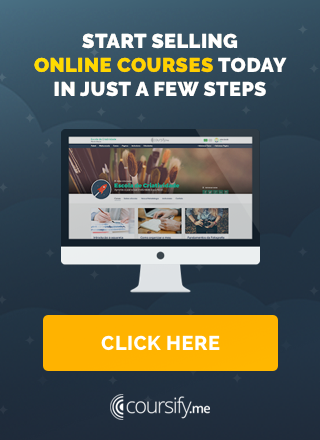 Visit our website, test the platform and work from home by selling online courses.